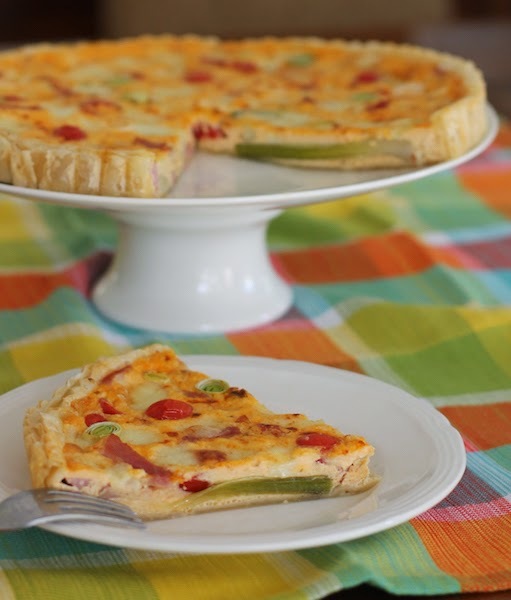 Puff pastry, tender baby leeks, juicy little tomatoes and creamy cheese transform your leftover baked ham into a new and delicious meal that everyone will enjoy. How do you eat leftover ham? My favorite way to eat leftover ham is simply sliced on a plate, topped with the honey-mustard glazed pineapple it was covered with when baked and extra lashings of yellow mustard. I know, I know. I’m weird but I don’t want to waste stomach space on bread so a sandwich is out of the question. That ham, pineapple, mustard combo is perfection, just as it is. But the truth of the matter is that there’s only so many times in a row I can eat it before I start looking for other options for the rest of the ham, like ham and split pea soup, ham and spinach quiche or my crockpot spicy ham and 10-bean soup. Wait, Basque tarts also come in savory? 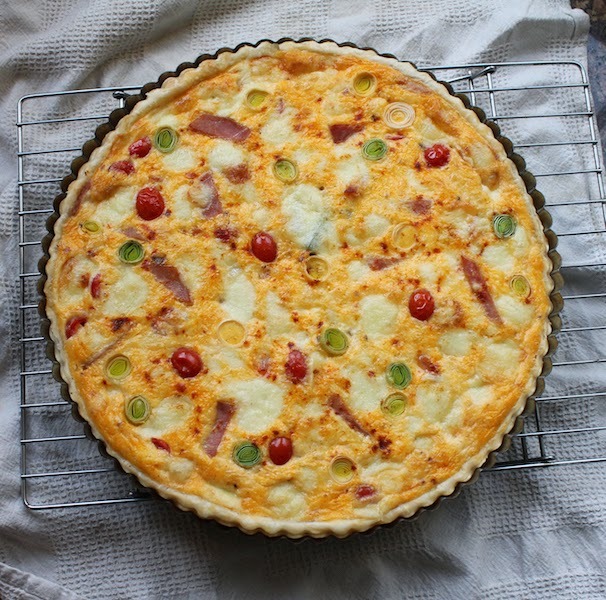 This savory Basque tart is a new addition to the mix, motivated by leftover ham, some Tomme de Pyrenees cheese in the freezer that was begging to be put to good use and the adorable baby leeks I came across in my nearby supermarket. And, of course, this week’s Sunday Supper theme of Easter or Passover leftovers. Make sure to scroll down to the bottom to see all the great ideas we have for making the most of whatever you’ll have leftover, sweet and savory, from appetizers to desserts. 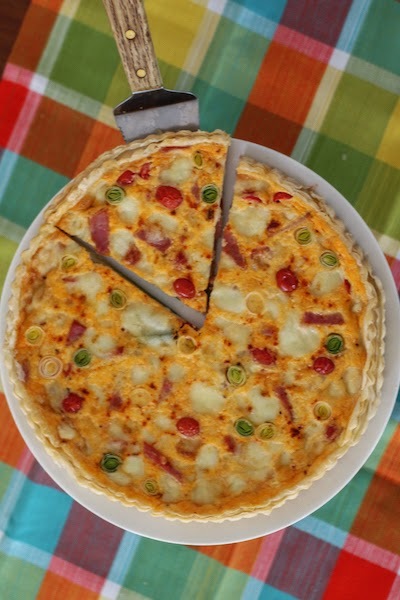 This recipe is adapted from two sources, Spanish Food About.com and RealFood.Tesco.com. 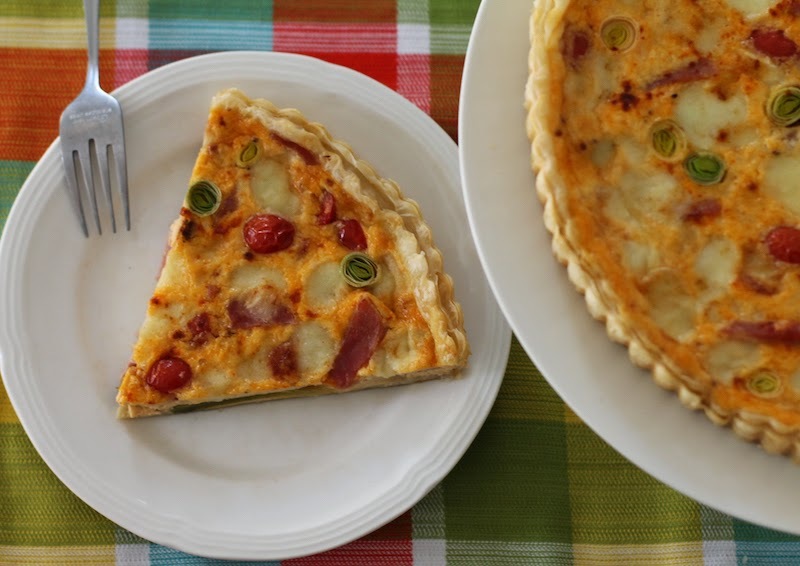 According to the first source, savory Basque tart would traditionally be served as a first course but could also served as a main course for brunch or a light dinner. 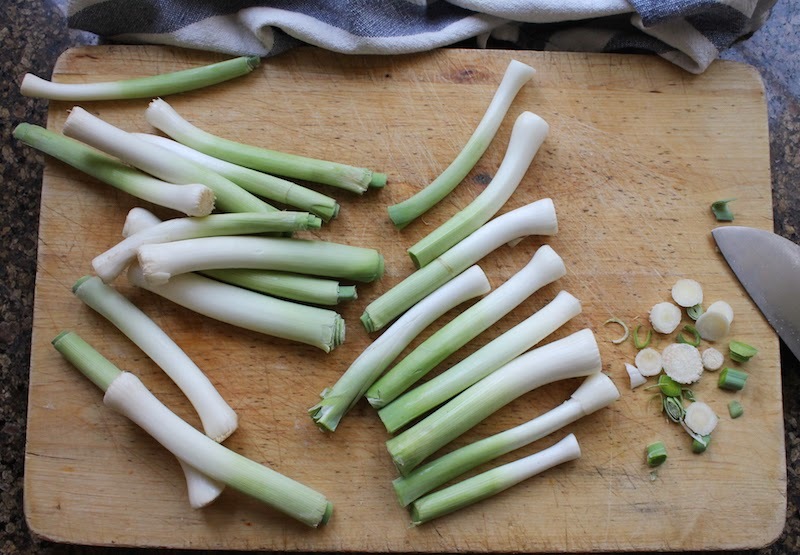 Trim the leeks of any dried green bits on the top end and any roots on the bottom. Set one aside for garnish and sauté the rest in a little drizzle of olive oil, over a low heat, until just tender. This will take about 10 minutes or perhaps less if you put a lid on the saucepan. Remove the leeks from the heat and leave to cool. 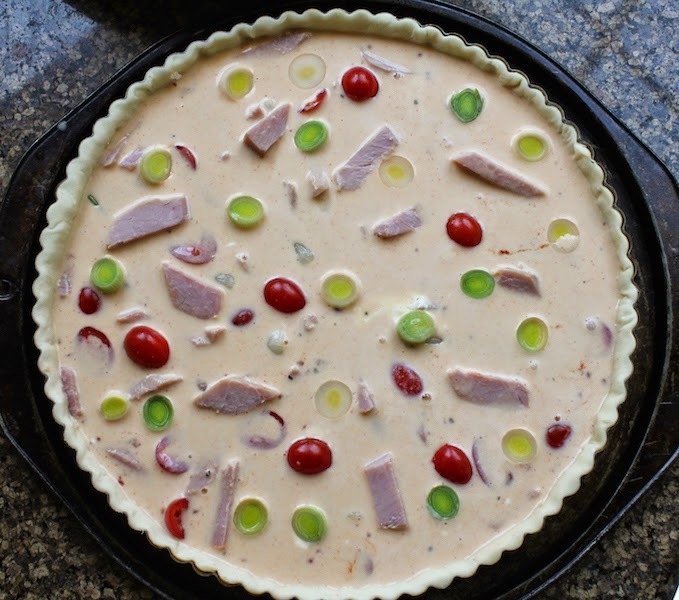 Fit your puff pastry into the tart pan. Dock the bottom and sides with the point of a knife and trim the excess pastry from the sides. 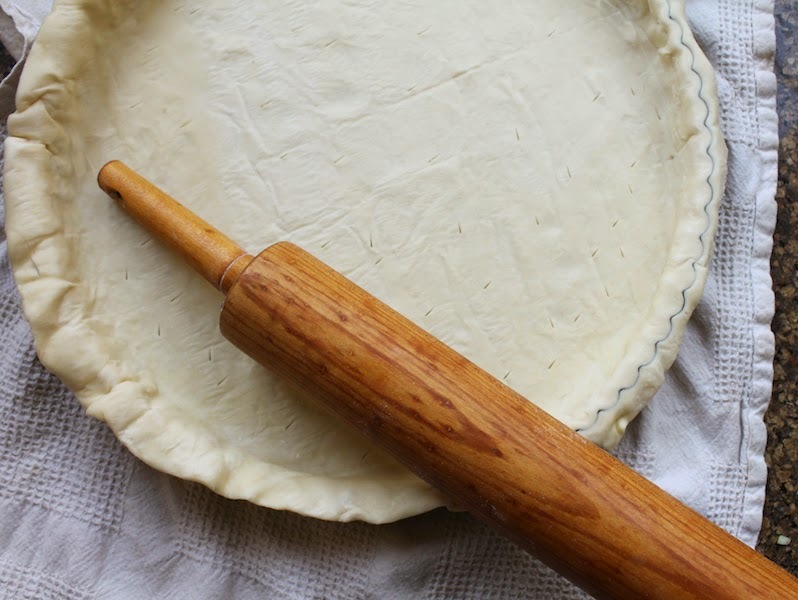 This is easily done by folding the excess over the top and then using a rolling pin to press through the pastry. Put the crust in the refrigerator to chill until your filling is ready. 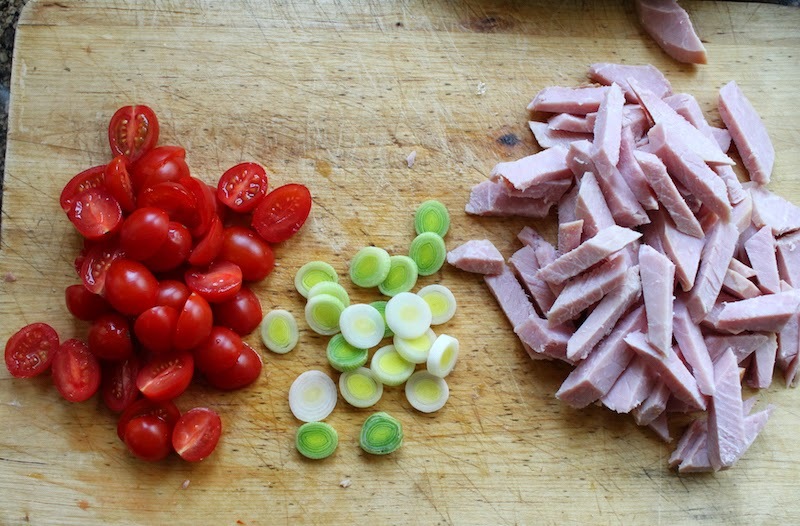 Cut your ham into small strips and halve the little tomatoes. Set aside just a few of each for garnish. 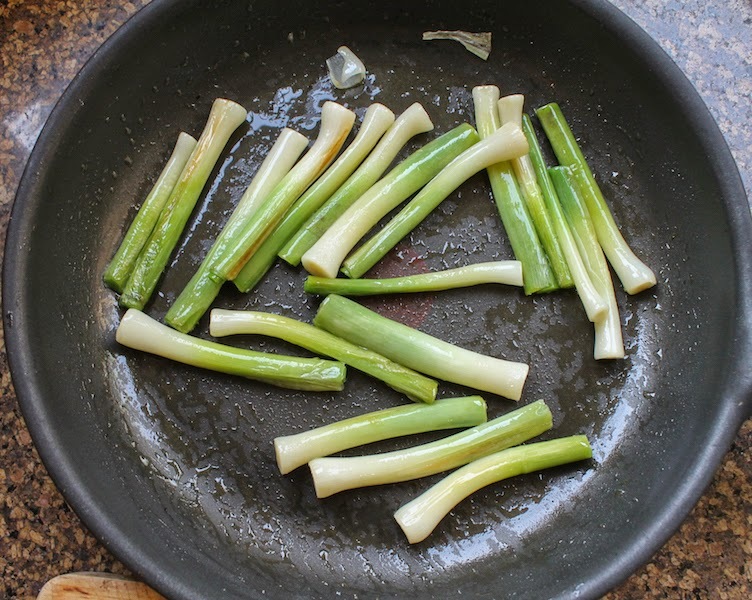 Slice the reserved baby leek into little circles. 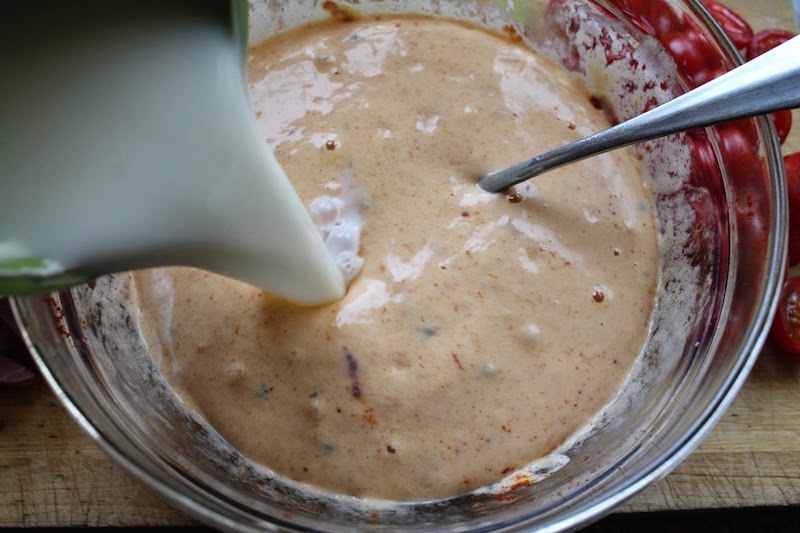 Whisk the eggs and crème fraîche thoroughly with the black pepper and smoked paprika. Add in the milk and whisk again. 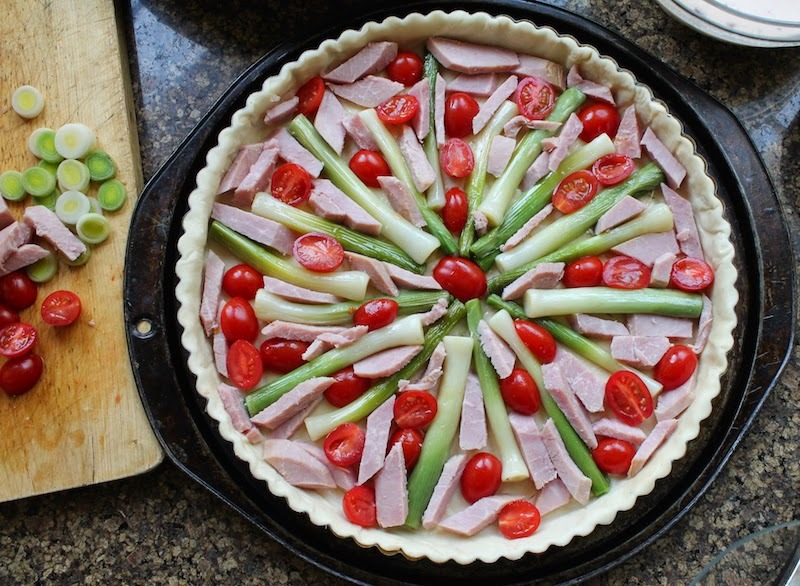 Arrange the sautéed leeks in the pastry crust and poke the ham and tomatoes in all around them. The design doesn’t really matter since it won’t be seen once covered with the egg mixture but I was attempting an even coverage with my arrangement. Plus, it was fun. If your tart pan has a removable bottom, I suggest placing it on another flat pan for support before baking. It's very easy putting it cold in the oven without incident but removing a hot tart can be tricky and I find the extra support is very helpful. 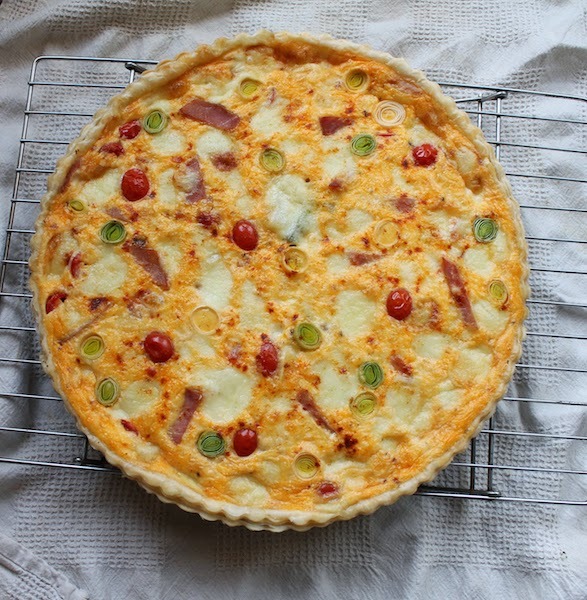 Pour the egg mixture into the crust and top with the reserved ham pieces, tomato halves and leek circles. 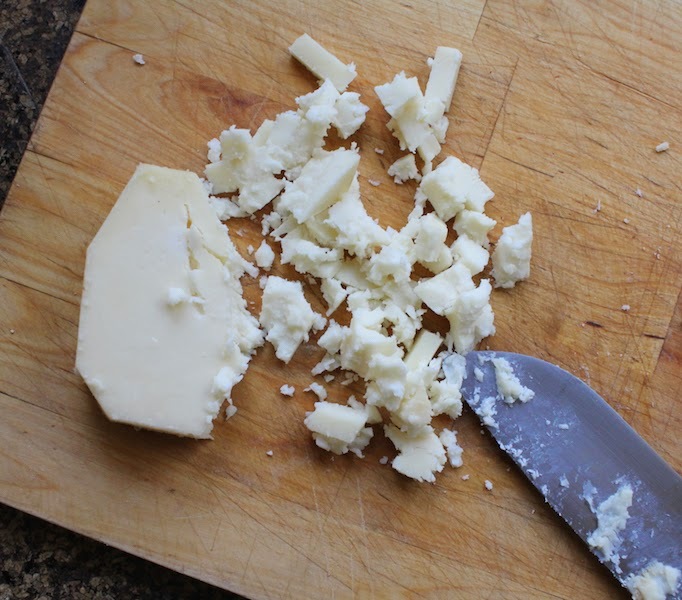 Cut off any hard rind and then crumble or cut your cheese into small pieces. 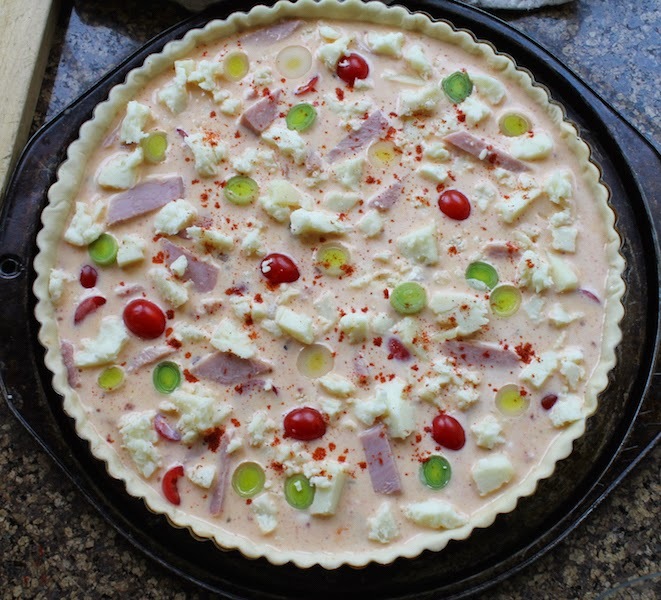 Arrange them more or less evenly around the tart. My cheese had been frozen so it was more crumbly that a fresh Tomme would likely be. Add a little extra pinch of smoked paprika sprinkled around for decoration, if you'd like. Bake in your preheated oven for 15 minutes and then turn the temperature down to 350°F or 180°C and continue baking for about 30 more minutes or until the filling is set and the crust is lightly golden. Cool on a rack until the tart has cooled enough to handle, then remove the pan. Serve warm or room temperature as a starter or perhaps with a side salad or some warm dressed green beans as a light meal. Are you already anticipating what to do with the leftovers of your beautiful Easter Sunday Supper or your Passover feast? We’ve got you covered! Many thanks to this week’s host, Liz of That Skinny Chick Can Bake for taking the helm! I've already got her Easter Candy Brownie Cookies pinned to bake!